The Oleum Vera DIY Organic Face Mask Kit is the perfect introduction to homemade beauty recipes for face, and includes everything you’ll need to design your own cleansing face masks from unique natural ingredients along with simple items that are already in your kitchen. Enjoy your fresh, all-natural face mask! 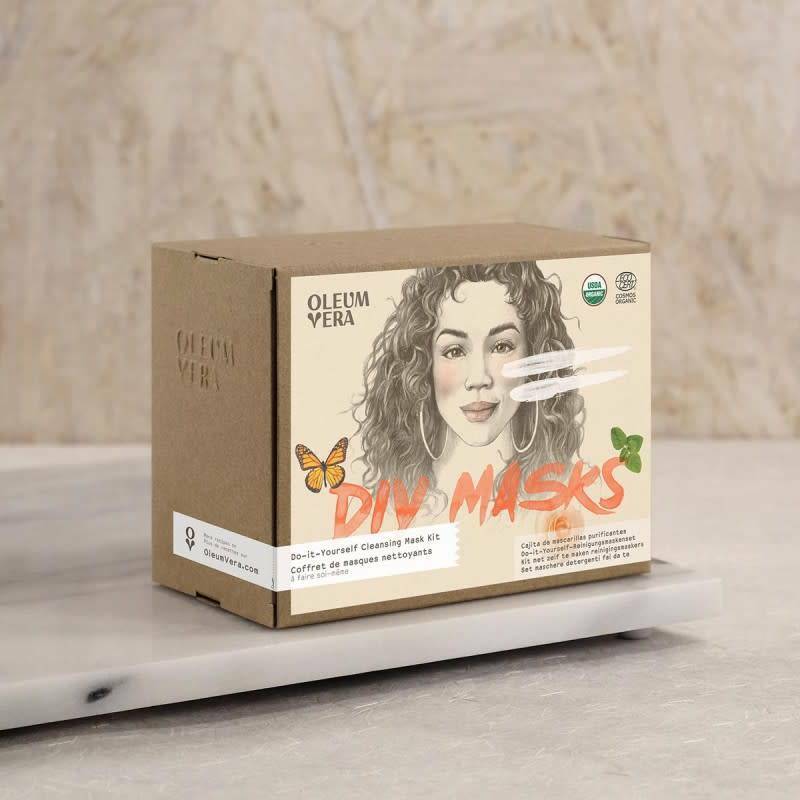 Our natural beauty recipes for face masks use powerful ingredients like avocado, honey, clay, lavender buds for deep cleansing alongside luxurious organic oils for glowing, healthy skin. Do you need a real spa day? Try our complete DIY Organic Home Spa Kit for luxurious massage oils, silky bath oils and even more face masks.